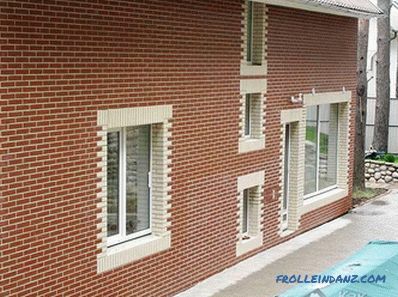 The technology of finishing the walls of houses and buildings with panels today is very widely used, as with the help of a small amount of time and money you can make the facade more attractive, update it and even warm it. In the building stores you can find a large assortment of facade panels, which are made of various materials, which affects the cost. This article will look at different panels for exterior home decoration. Before considering all types of panels, it is necessary to study their main functions and parameters. First of all, it is worth examining their weight, since not all buildings will be able to withstand a large load (for example, frame houses). This parameter is indicated in the documentation for each product, so it will be easy to calculate the load. Additional parameters include heat and sound insulation, which will save money on the process of insulation of external walls. If we are talking about paneling the walls of a wooden house, then we should consider the fire resistance of these products. Facade panels made of environmentally friendly material will last several times longer, and will not emit harmful substances. Lifetime is also important, because such work is not designed for one year of use, but at least 10. If the installation work will be done independently, then you should first learn the technology of their installation. resistance to aggressive and natural environments. To date, plastic panels themselves are common, as they have a large number of advantages in contrast to other types. It is plastic that is presented in the largest color range, which allows customers to choose the necessary option. No less attractive is the price of these products, which means that everyone can purchase them in the required quantity. Also, the advantages include protection from the influence of precipitation, temperature changes. The top layer has increased strength, so the material is not subject to corrosion. 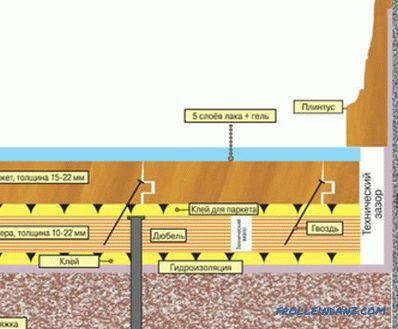 Before proceeding with the installation of facade panels, it is necessary to cover all walls with a waterproofing layer. Siding is a decorative panel , for the production of which can be used both plastic and galvanized metal. It should be noted that metal models will be several times stronger and more durable. The rich color range and variety of forms allow to satisfy the desires of even the most capricious homeowners. Due to the flexibility of siding, they can veneer the facades of not only houses of standard shapes, but also of any other shape. A wide range of models will allow you to choose the best option that will be perfectly combined with any material for the roof. 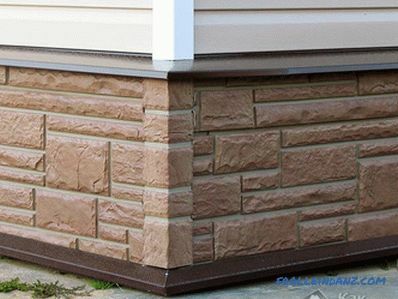 The installation process for siding is as simple as in the case of plastic panels, only for siding there is no need to use additional waterproofing. 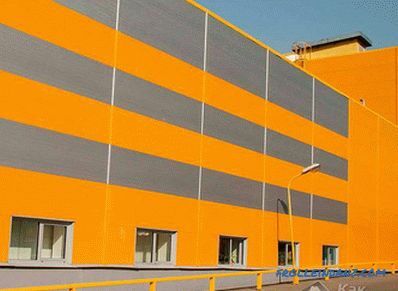 The upper polymer layer reliably protects the internal structure from corrosion, therefore, the service life of the facade panels is large enough. For fixing it is necessary to use screws, nails and staples. 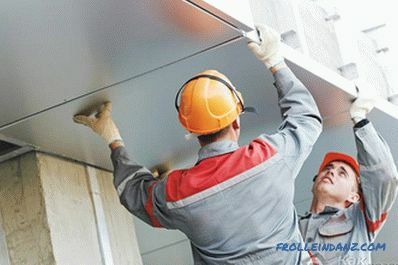 It is possible to make facing of a building with the help of siding at any time of the year, technical and operational properties allow you to work in both summer and winter. If you need to surf the panels with insulation, then it is worth considering modern sandwich panels, which include several layers of insulation, as well as waterproofing. In most cases, the standard model includes a vapor barrier, plastic and metal, so the design is well tolerated by temperature changes, as well as improve the sound insulation of the building. 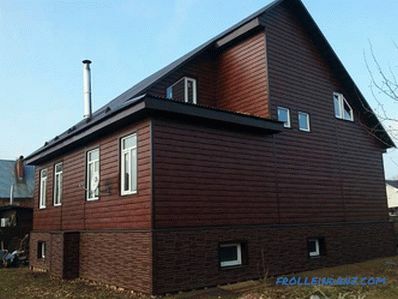 Modern manufacturers use only environmentally friendly materials, so they are absolutely safe to use.The list of advantages also includes the fire safety of these products, which is very important when it comes to the insulation of a wooden house. 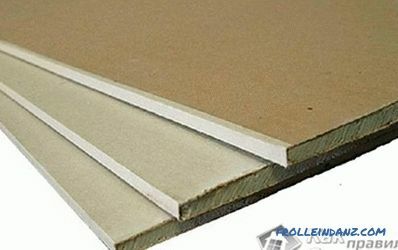 Another option for insulation panels is a vulture panel, which consists of particle board. Their thickness does not exceed 10 mm. In the role of insulation acts polystyrene foam, which is popular in modern construction. In addition, they have an attractive price. 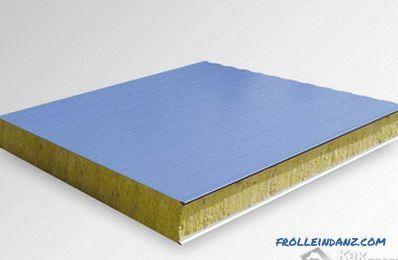 Recently, many people prefer to build houses very quickly, using frame technology, and as a wall they choose a vulture or sandwich panel, which are both walls and insulation. This type of panel consists of blends of cement and cellulose fibers. This combination allows manufacturers to produce a fairly large range of textures, among which there is the best option for the facade. 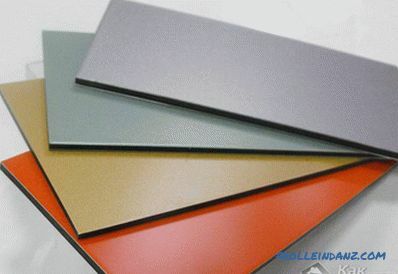 Fiber cement panels have one main difference from other types: at the final stage, the protective polymer layer is applied not only on the front side, but from all sides. Due to its low weight, there are no difficulties in installing the panels on the facade. They have a high level of sound insulation, as well as resistance to the effects of the environment, which guarantees a long operational period. The range of fiber-cement facade panels is worth highlighting siding with a dusting of stone chips or acrylic. In most cases, metal panels are presented in the form of panels of aluminum, which is easy to process. 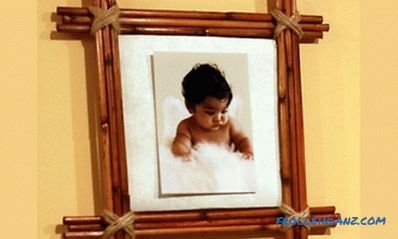 In addition, a protective polymer layer, made using different pigments, allows you to get a large selection of colors. They can also be supplemented with insulation and protective layers. Simple installation does not require much labor, so you can sheathe in just a couple of days whole building. The main indicator of quality and strength is a long service life, which can be more than 30 years. Aluminum will reliably protect the house from rain, snow and hail. The plinth front panels are intended for facing the plinth part of the building, which, according to experts, is the most vulnerable and requires additional protection. 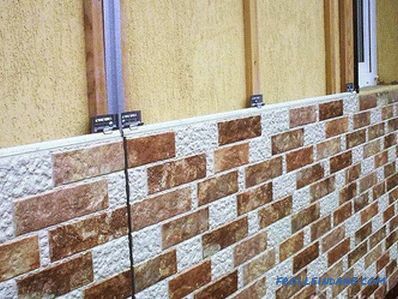 The basement panels are resistant to high humidity and temperature, so they are great for our climate. They are also resistant to mechanical damage, withstand significant loads. Even if a car crashes into a building when parking is careless, there will be no damage to the surface. Thus, the basement panels simultaneously perform two functions: protect the walls of buildings from possible damage and make the facade attractive. In specialized stores you can find a sufficiently large range of textures and colors of the cap, which will allow you to implement any design idea or project. 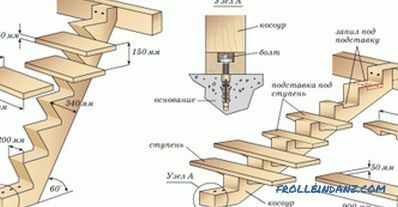 It is recommended to make installation at a positive temperature, and at the same time to use screws and nails, since other types of fasteners will not be able to cope with the task. Most often , decorative panels are issued with design under a brick. They will allow to update the facade, but it should be noted that this option will be quite expensive. 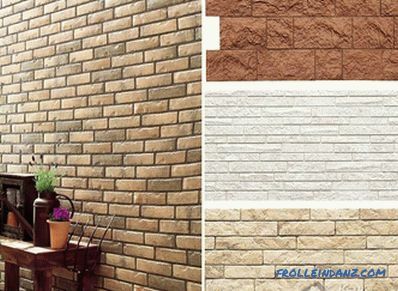 In the same category is to include options for stone and clinker types of panels, which are represented in a large assortment. For their installation, it is necessary to construct a metal structure from a profile or to make laying with the help of special glue. Before you choose panels for exterior decoration of the house, calculate the budget that you can allocate for this work. 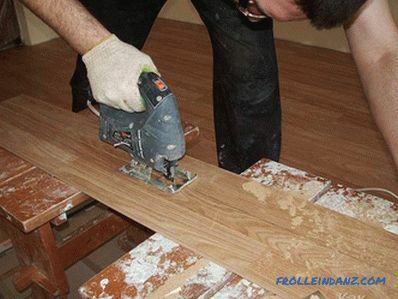 Thus, you will be able to determine in advance the price range of finishing materials available to you. Following the technology of mounting panels, you can cope with finishing the house yourself.